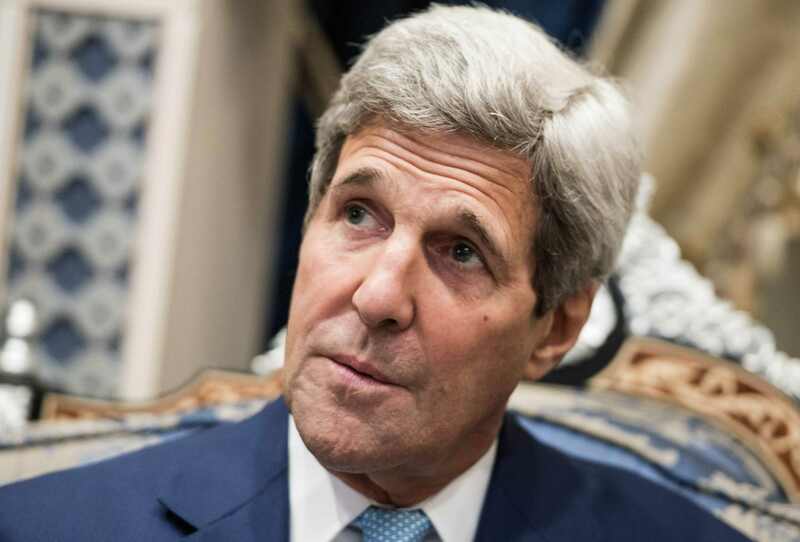 Secretary of State John Kerry on Thursday rejected the word "war" as a description for the U.S. fight against the Islamic State of Iraq and Syria (ISIS), and he said people should not "get into war fever" over the conflict. "We're engaged in a major counterterrorism operation, and it's going to be a long-term counterterrorism operation. I think war is the wrong terminology and analogy but the fact is that we are engaged in a very significant global effort to curb terrorist activity," Kerry told CBS News State Department Correspondent Margaret Brennan in an interview from Jeddah, Saudi Arabia, where he is traveling as part of American effort to build a global coalition to battle ISIS. "I don't think people need to get into war fever on this. I think they have to view it as a heightened level of counter terrorist activity...but it's not dissimilar to what we've been doing the last few years with al Qaeda in Afghanistan and Pakistan and in Yemen and elsewhere," Kerry said. In a primetime speech Wednesday night, President Obama announced his plans to increase U.S. airstrikes against ISIS in Iraq and to go after the militants in Syria as well. Previously, airstrikes were reserved for humanitarian aid and protecting American assets in Iraq. Senior administration officials likened the campaign to the counterterrorism strategy the U.S. has employed in Somalia and Yemen over the past several years to continue decimating leadership within al Qaeda. While the president has said the objective is to "degrade, and ultimately destroy" ISIS, Kerry said that success will not merely be measured by how many of its leaders are taken off the battlefield through airstrikes. "You have to begin by taking back territory in Iraq. You have to deny them the capacity to own an entire village that belongs to Iraq or a town or a city," Kerry said. "ISIL will be very isolated and there are other means that will be brought to apply to them both there and Syria, elsewhere, that will diminish their ability to be able to threaten the United States, Europe, the region and particularly Iraq," he added, using another acronym for the group. Although Mr. Obama is seeking additional authorization from Congress to train moderate Syrian rebels in Saudi Arabia and other partner nations, Kerry said that is the "next echelon" and that the U.S. has already been involved with training operations. "That's not different from what we've been doing for the last couple of years except that it will happen to a greater degree and with greater intensity," he said. He also pushed back on the notion that the U.S. will be supporting the regime of Syrian President Bashar Assad by helping the rebels fight ISIS. Kerry said Assad's claims that he, too, is fighting the militant group is "fraud." "He's not fighting ISIL," Kerry said. "In fact, there's major headquarters of ISIL that sits in a number of major places evident to everybody... and he's never taken them on."